HOW MUCH SHEEN SHOULD THE PAINT HAVE? When purchasing paint, I've been asked if I want flat, high gloss, satin and even an eggshell finish. What do these terms mean, and does it really make any difference what kind of finish I have7 Those terms refer to the sheen or g loss level of the paint, and, yes, it does make a difference which one you use. The sheen or gloss level simply means the degree of light reflectance of the paint. The terms you mention a re ones that various manufacturers use to describe the shininess of their products. The following chart explains what each term means, and where paint with that type of gloss should be used. 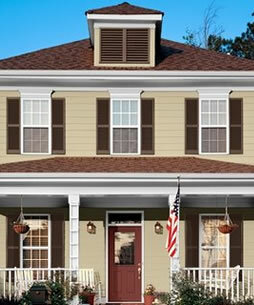 Your local independent paint retailer also can recommend the type of gloss you need for you r particular paint project. Where to Use: For kitchen and bathroom walls, kitchen cabinets, banisters and railings, trim, furniture, door jambs and window sills. Comments: More durable, stain-resistant and easier to wash. However, the higher the gloss, the more likely surface imperfections will be noticed. 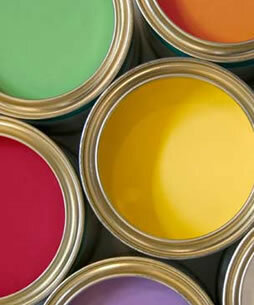 Where to Use: For kitchen and bathroom walls, hallways, children's rooms, playrooms, doors, woodwork and trim. Comments: More stain-resistant and easier to clean than flat paints. Better than flat for high-traffic areas. Similar characteristics to semi-gloss and eggshell. Eggshell (20 to 30 on a 60-degree gloss meter) Where to Use: Can be used in place of flat paints on wall surfaces especially in halls, bathrooms and playrooms. Can be used in place of semi-gloss paints on trim for a less shiny appearance. Comments: It resists stains better than flat paint and gives a more lustrous appearance. Where to Use: For general use on walls and ceilings. Comments: Hides surface imperfections. Stain removal can be difficult. Use for uniform, non-reflecting appearance. Best suited for low-traffic areas. Same characteristics as flat except much more scrubable.